I was recently asked a question through my social media platforms as to how I approach watching and reviewing a film with historically racist overtones. It stems from this article over at A Plus about a Memphis-based cinema’s decision to cancel a screening of Oscar-winning classic Gone With The Wind, due to its inherent racist themes. Some have asserted that the film “glorifies” the ideology of black slavery (modern phrasing would call this “normalising”), making it less about the subjugation of a race of people and more about how this race of people are really kind old souls only being slaves out of the goodness of their hearts, or something. America has in recent times become highly attuned to perceptive racial history, most blatantly in the recent Charlottesville terrorist attack and the gradual removal of Confederacy statues throughout many towns and cities in the region. The subject of race isn’t an easy one, not least in terms of cinema and the subject of this article. Hollywood has long represented minority groups in a manner that is considered racist by today’s modern thinking, and film-makers today are highly sensitive to provoking outrage with ill-considered choices or methods. However, it hasn’t always been so – as society moved with the times, so did cinema, and if you reverse engineer this it means Hollywood’s overall aesthetic to the subject of race has been a reflection of cultural attitudes and social acceptance. Whether you like it or not, the world – and especially America in this instance – was a far different place back in the early 20th Century than it is today, and although we’ve come a long way in our collective fight for equality and freedom for all, we’re still a long way off achieving it. 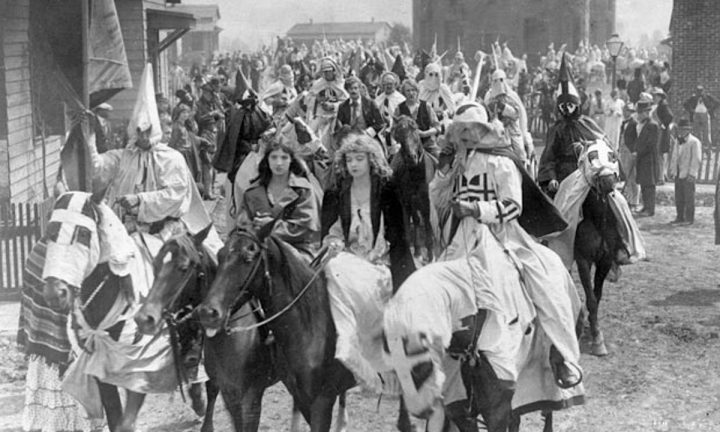 DW Griffith’s Ku-Klux-Klan inclusion in “Birth Of A Nation” is seen as deeply racist. The simple answer to watching patently racist material with any kind of intellectual reasoning is context. Gone With The Wind was made in 1938, 70-odd years after the American Civil War and the abolition of slavery (slavery does still exist to this day in some areas of America, sadly), although close enough generationally speaking to still hold some resonance to the population of the time. Audience members in 1939 might have had fathers of grandfathers who actually fought in the war, it was that recent. Other patently racist films, such as DW Griffith’s horrifying Birth Of A Nation (1915) and Disney’s Song of The South (1946), the latter of which was a “family friendly” attempt to make black people a caricature of their actual selves, and in some ways also tried to “soften” slavery as an ideology, are routinely touted as exponents of racist Hollywood and, if some people have their way, should be consigned to the bonfire of historical hatred and never be seen again. Should they, though? 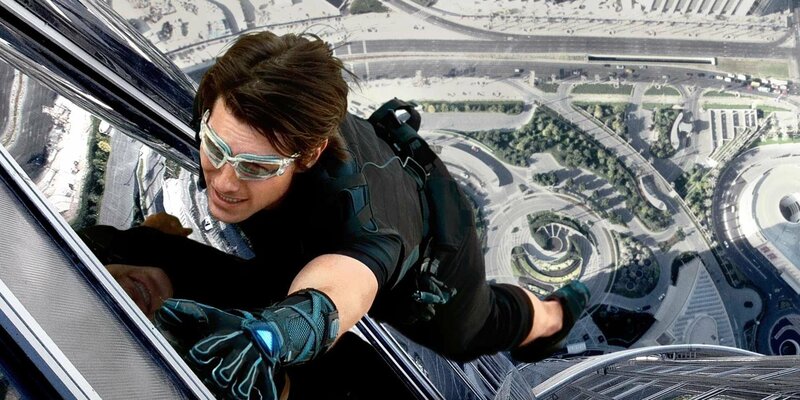 Films should always be watched with the contextual viewpoint of their era in mind. Films of the early-to-mid 20th Century will almost certainly depict black Americans as lesser citizens, often not through any specific mandate but simply through this ideology being prevalent at the time the film was made. Leonard Maltin’s exceptional commentary on many of Disney’s cartoon short anthology DVD’s, in which much material is presented with its inherent racial prejudice intact, is contextualised as a product of its time. Shutting out discussion of such merely avoids the contention of the issue, and it’s perhaps a far greater evil that this should occur than people actually thinking about things. Portraying black people as comedic foils or stooges or imbeciles or anything other than productive members of society and equals in the eyes of the land is inherently wrong, but when placed into the context of a film’s production is manifestly appropriate for the thinking of the time, whether you agree with it or not. One cannot place the burden of modern social exceptionalism on filmmakers of fifty, sixty, or a hundred years ago; this just won’t stick. Arguments that we should simply stop showing films that depict minorities in a bad way to general audiences trends against the perception that film is an art and art should be used not just for entertainment but also to teach and inform. Anyone who’s ever seen Triumph Of The Will will understand the power of Hitler’s hypnotic takeover of Germany and come to recognise a lot of that in modern America today. Today, Leni Riefenstahl’s film is used as a teaching tool, a cinematic history lesson of the most odious kind – she was pilloried at the time for propagandising Nazi Germany but later came to be recognised for her amazing directorial vision and bravery. When I saw it back in 2016 I certainly didn’t come away thinking “wow, now I just have to be a Nazi!”. I recognised its artistic merit, the evil it depicted, and the historical context of it, and moved on. It felt similar to visiting a Nazi concentration camp (which I did in 2008), or other place of vile human evil, in order to get closer to understanding what happened. I’m yet to visit America myself but I’ll probably make a point of taking in areas of the Deep South where segregation occurred to truly learn and appreciate what happened there. Art, as with anything humans create, is a subjective work of success. Publicly lauded artistry, such as cinema, music and literature, are scrutinised even moreso today than 100 years ago, thanks largely to microcosm of the internet and a social value shift towards liberalism. Not that long ago, people were burning books as heresy. Music, once the domain of refinement and luxury, has become a cauldron of anger, love, rage, frustration, confusion, exhortation and all manner of “message” material that dominates our radio airwaves every day. Salacious paintings hang in our art galleries not for our offence but for education and enlightenment. All these creative outlets can bring a sense of justice, social repudiation of injustice, and a reflection on ourselves as a society, and should never be banished from sight. Better to witness the harsh truth of the world and live with sorrow than remain ignorant of it and live a lie. I’m not saying Gone With The Wind is an ethical omnibus but perhaps it ought to be used as a method of teaching people about historical context in a similar vein to Schindler’s List or 12 Years A Slave. An example: this wonderful article by The Washington Post’s Alyssa Rosenberg on why we should keep revisiting Gone With The Wind, rather than avoiding it, is on point. Personally, I’m probably not the right person to come to about racially thematic discussions. I’m a middle-aged white guy in suburban Australia who has never had to deal with the problems of Black America, or any other kind of racism in my personal life. 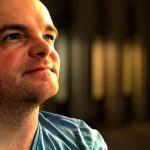 Australia itself is constantly poked with the guilt over our treatment of our indigenous Aboriginal peoples, and as a nation we’re continuing to struggle and reconcile this area of social concern, so speaking about Hollywood’s lamentably late-stage swing over minority depictions is really outside my wheelhouse. That said, I can watch a film containing poor representation of minority characters – heck, Casablanca is another example, if you peer deeply enough, while 1931’s Best Picture Cimarron is positively jaw-dropping in its approach to depicting African-Americans – and approach it in the historical context in which it was made, and understand that while I might not agree with the manner in which the film does depict people of non-Anglo descent, it’s a film made at a time when this wasn’t the issue it is today. 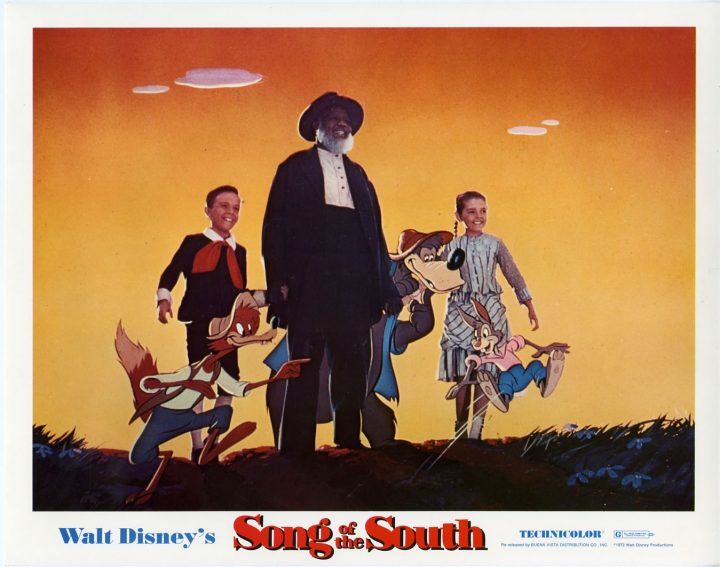 Disney’s “Song of The South”, which has been buried in the studio’s vaults for years. But to call for a cinematic ethnic-cleansing of subjectively racist material is a slippery slope of creative freedom as well. If we burn all copies of Gone With The Wind, what’s next? Blaxplotation films must surely come into view if we follow the breadcrumbs further along the hysterical flames of moral outrage. So too many of the cartoons we enjoyed as children (Generation X, that is), and perhaps one or two of the books I read could possibly become afterthoughts on a quiz-show fast-money round. Obviously racist material – Mein Kampf, for example – should be approached with a degree of caution, but there’s a difference between appreciating racist material in a manner congruent with being racist, and understanding the context of the material presented as a reflection – poor or otherwise – of a society grappling with its conscience. One must consider intent and context for films of a bygone age, before hysterically raging against their validity. Watching historically racist material isn’t inherently wrong in and of itself – not in my opinion, at least – so long as an appropriate understanding of the themes and ideas behind it is obtained. This, unfortunately, is more up to common sense and reason, and we all know how uncommon that is. Burying the past, not learning from it, is a surefire way of ensuring, as the song says, history repeats itself. This is the approach I take when watching material some might consider culturally insensitive by today’s standards, and it’s how I try and review them. Sorry I’m late on this, but it’s an excellent piece. I agree with it. The films in question must be available to be seen and understood within the context of the time they were made. They should also be examined to see how they fit into and affect the ever-changing racial narrative at work in cinema. For instance, a movie like Get Out cannot be viewed as purely a product of the more recent racial climate in America. Many of the films listed in this article and lots more had just as big a hand in its creation whether the Jordan Peele, writer and director of Get Out is aware of that fact or not. Being familiar with his work before Get Out, I’m confident saying he’s well aware of it. In short, to truly understand a film like Peele’s, we have to understand the movies that led to it. Spot on my friend. The subject of race in America is far and away a bigger hot button issue than it is, say, here in Australia, although it stands to reason that our Western multi-cultural societies have all grappled (and continue to do so) with it in recent times thanks to the proliferation of globalisation. America’s saturation media often makes it an almost defacto default for people’s thinking on it, which it shouldn’t be, and Hollywood’s participation in this is indicative of it’s sway among free societies. Get Out managed to use racism in a way that worked for the story, although I have to admit it did walk a very fine line between entertainment and exploitative. Peele needs to do more of this kind of thing anyway. Glad you could drop by!